Am I correct in thinking you aren't using proper crushed ice? If so, try that. Shake over cubed ice, strain over fresh cubed ice and crown. If you also got a bottle of Pierre Ferrand at the same time, I'd say split the Cointreau in half with that also. Seriously, this shake with crushed and dump is just going to end up in a watery slushy. And the above drink will keep for 20minutes on cubed ice. I doubt my ice is proper crushed ice. I pulse the cubes a few times in the Cuisinart. One of those fancy bags and a big mallet is not my idea of fun, but I am open to suggestions. However not all my results with crushed and dump mai tais have been what I would call watery. For last night's I was particularly careful to use bigger chunks for the most part. Possibly the ice that night was bigger or smaller, or shaken for a slightly longer or shorter time. As to Agricole all I can find is Barbancourt 5 star, which I have, and which I thought got rather lost in the mai tai. Is Barbancourt 5 star satisfactory for the purpose? If I allow enough time I will look again on my way to work this evening. No, try and find a really strong grassy Martinique. Cachaca is probably closer than Barbancourt, I'd venture. It's what I've used in place of it before. I just suggest proper Agricole given Jo's penchant for Overproof. I was going to do the experiment of making two overproof mai tais tonight, one strained over fresh ice and one just shake and dump. Unfortunately following the "strained over fresh ice" my critical facilities are a bit strained. I think I shall quit while I am more or less ahead. Particularly as I have work tomorrow. Nothing wrong with that except perhaps it wasn't quite enough. I shook with crushed ice and strained into tumbler with fresh little Kotobuki cubes. This was not the greatest. For me Appleton 12 just does not work well with Beachbum Berry's proportions. The drink tastes a little watery and a bit too sweet. I like all orgeat in my mai tai rather than half orgeat and half syrup. I could be wrong, but I think the Small Hand syrup is sweeter than the Small Hand orgeat. The drink was not terrible, by any means, but not my best. Note that I went back to Grand Marnier for this experiment. That may have been a mistake as the orange of Grand Marnier does not quite cut through the other ingredients. After the fact I added a float of Pusser's and a dash or two of Cointreau. What I think I have learned is that what I call "watery" in a mai tai is not due just to shake and dump. Pusser's and Wray & Nephew Overproof is still my best rum combination to date. This is nicely flavored but a tad too sweet. Perhaps I will try some bitters or maybe more W&N. I was going to play around with Andrew Willett's recipe, but I think I should save that for another night. Shaken and dumped. This is different. I reserve judgement. I will suggest that Barbancourt plays nicer with W&N than some of the other combinations I have tried with Barbancourt. Went down very well with a bowl of almonds. This is similar to Wayne Curtis' mai tai recipe but less 1/4 oz of orange. (Curtis calls for 3/4 oz orange Curacao). I'm wondering (and I'm not really sure I've tried it yet) if these proportions would work with all Appleton 12 for the rum? Hmm. Wow, this is wonderful, or maybe it's just me. The Appleton 12 shines here better than in my previous concoctions. The mai tai seems like such a simple drink, but so many variables! This one is not as sweet as my first mai tai tonight, and is much better balanced. Maybe I should be scientific and try half orgeat and half syrup, but I really like orgeat and I suspect syrup in place of half the orgeat would make the drink too sweet. Another benefit, I get two drinks from 1/2 lime! I'd like another but alas I am no Richard Nixon. As I predicted this was sweeter. Not bad at all but I think I liked the all orgeat version better. The problem now is I am out of Appleton (as well as Laird's), broke, and the Appleton 12 is special order. Food, Laird's, or Appleton? I have to think about this. None of the above. Smith & Cross! Not, unfortunately, an option. But if I remember I will enquire if it can be ordered. As it happens I did not try to order Smith & Cross, but I did order more Appleton and a bottle of Clement VSOP. Let's see if they can get it. No Clement VSOP for me. Can't get it. Very sad. Appleton, though, its on its way. Indeed it is sad! 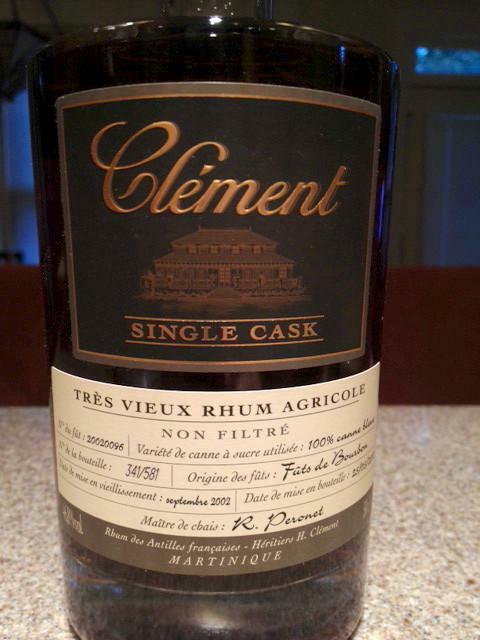 A recent acquisition of several bottles of Clement Single Cask barrel proof tres vieux rhum agricole may well be my favorite rum of any stripe at the moment. Probably not going to make it into a Mai Tai though. Too good all by itself! Although I have a few other interesting option to try on the way from Renegade this week. OK, but oddly I did not find this recipe as wonderful as I'd remembered it. I thought it was too sweet. This may have to do with imbibing pleasantly tart Daiquiris over the past few days. Remember I am a novice at all this. ...had exactly one ounce of "sweet", split between orgeat and orange -- extremes being Wayne Curtis, who calls for 3 parts orange to 1 part orgeat, to Andrew Willet, who calls for 1 part orange to 3 parts orgeat. My duty was clear. I concocted Wayne Curtis' recipe using Pusser's and Appleton 12. Very good. Sadly this did not work. No reflection on Andrew Willett since I was not following his recipe exactly. Too much orgeat and sweetness. Though I suspect I would not have been entirely pleased had I followed Willett's recipe to the letter. However I will certify for the record that when I previously made Willett's recipe in isolation I thought it worked, But when immediately following a heavy Cointreau formula I thought the 3/4 ounce orgeat was too much. To salvage my libation I added another 'plash or two of Cointreau and a solid pour of Pusser's. (Note to self: novices should probably not try freehand.) Topped up the ice. Much better! Now I have to ask myself: what is for dinner? Shaken and strained over fresh ice. Garnish of mint. I went a bit scant on the syrup to hold down on sweetness. 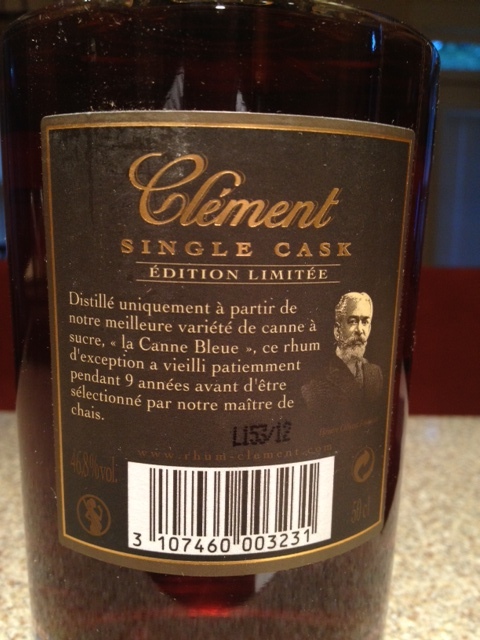 I like this concoction very much, though I have yet to compare it to Appleton/Clement half and half. I was pleased with a glass of Clement neat before assembling the mai tai. I can only wonder what the older stuff must taste like, and what the older stuff must cost. Clement VSOP however is only 80 proof. What did you have in mind for 100 proof Martinique? 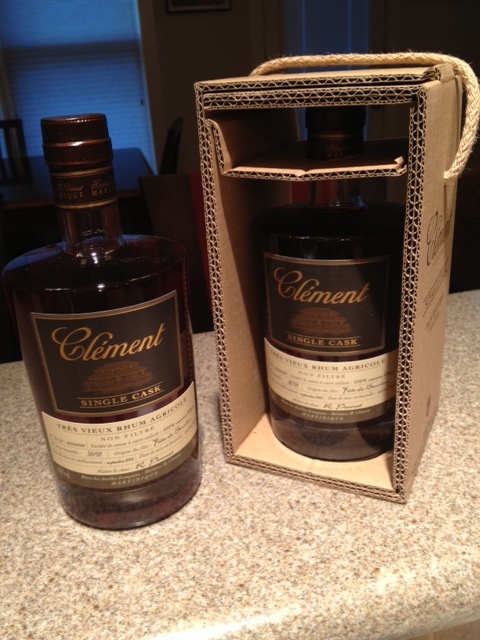 For whatever reason Clement tends not to bring their younger rhums to the US at 100 proof. JM Rhum Blanc, Eleve and VSOP are 100 proof but can be pricey like many rhums. Neisson comes in a 100 proof rhum Blanc, Eleve and Vieux as well but tends to be pricey too as I recall. La Favorite blanc and Ambre may be a little less expensive. I like Depaz which I think is particularly vegetal, is generally available and usually not overly expensive. Although it is a 90 proof rhum. They have a 100 proof version but it doesn't come to the US either to my knowledge. 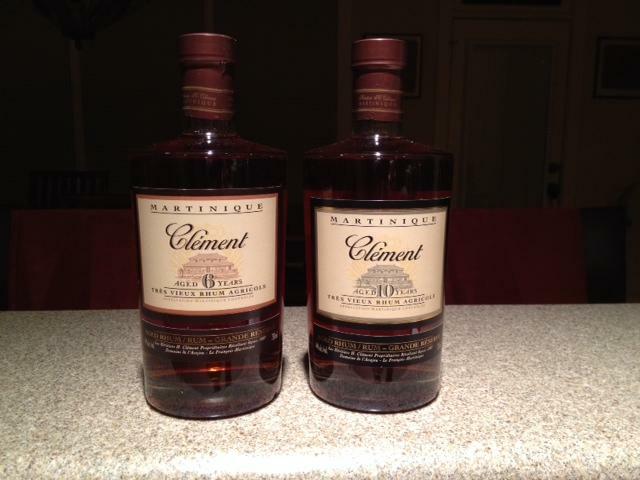 What 100 proof (or thereabouts) rums/rhums does Clement export to the US? Shaken and strained over fresh crushed ice this time. Garnished, as usual, with half a lime shell and a sprig of mint. Not bad at all, but at 1/2 oz I find the almond note sticks out a bit above the citrus. However sweetness is about right to my taste, maybe even a little sweeter might be nice. I think (but of course I am not positive) that I like the Appleton 12 and Clement VSOP combination better than the four rum concoction of last night, in which the Pusser's and W&N were most evident. Shaken, strained over fresh crushed ice. If I had to say, I think this is my most enjoyable mai tai ever. While the blanc in particular is bottled at 100 proof (and higher) in the Islands and in Europe I don't know of any Clement rums bottled for the US market at 100 proof. The highest proof is generally 88 as is the case with the 6 & 10 yo Grand Reserve I picked up recently. Not sure why they don't send 100 proof rhum to the states. Shaken, strained over fresh crushed ice. Garnished with mint and lime. It's close, but I think I like Wayne Curtis' ratio better. Which beggars the primordial question: the rum, why is the rum gone?